Within the history of business, copywriting, advertising and marketing, there comes a history of a friendly competition. With everything from the type of product or service to the ads a company runs to get its customers, there is certain to be another business out there doing nearly the same thing. Businesses use the same concepts and tools for their copywriting and design, but there are differences to be seen in the land of marketers and advertisers. By knowing this difference, you can create better copy for your business's ads and content. Advertising and marketing seem like one in the same, right? People use advertising to market a product. But the truth is, both of these tools are used to help each other in slightly different ways. Sure, you will see the ad for the product, but when you go to the website to purchase what have seen, you are looking at marketing content. Marketing provides copy for the pages on the website as well as content such as blogs written about the product. 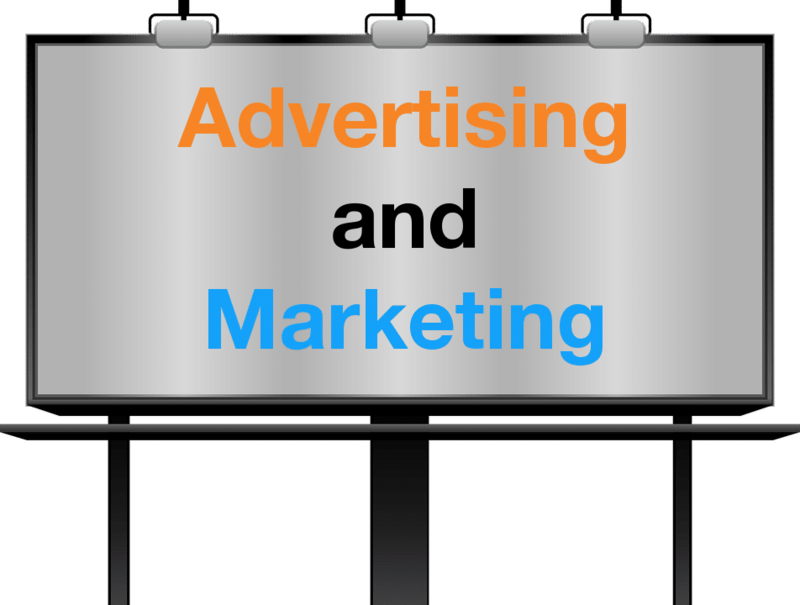 When it comes to advertising and marketing, you must have one in order to get the full effect of the other. Before the world of shared videos on LinkedIn or seeing those ads on Facebook, the only way to share what you wanted people to know about was by different types of written copy. Newspapers tossed in your driveway, marketing postcards sent to your mailbox, and other sources of physical copy ruled advertising. Using written copy in a non-digital world had its share of unknowns. This being a business’s only means of content marketing meant that they waited for longer periods of time to see any feedback from the marketing campaign. Having to wait and see if these new ideas would work led these businesses to a wide range of failures and successes. There were few that made it out successfully and could go on to share how they made it work. The great thing is, if we look at that information today, it can still ring true for modern content marketing. If you want more information on using old-fashioned methods to help your content, check out Virtual Market Advantage's blog here. When you look at types of marketing, you will see that one of the biggest differences between advertising and marketing is the length of the material involved in each. Ads are there to quickly grab your attention within the typical seven seconds that a person gives to something that they see. If you then go talk to a content marketer, you will quickly learn that they hope to earn the greater attention of their audience with informative, thoughtful content. Ads are meant to quickly manipulate you into looking further into something or going for the impulse buy, while content is meant to be informative and build a trusting relationship with the audience. While you may think that content and copy will be long and drawn out, that is not always the case. You can create shorter sentences for dramatics, as well as get your point across with fewer sentences and paragraphs. Just because you hear the words 'content' or 'copy' does not mean it will be a long and boring read. There are many times where content can give the audience just as much impulse to buy as an ad, all while giving the customer just that much more information before the purchase. Advertisements are meant to be seen briefly, which means they can sometimes come across as untrustworthy (and sometimes are). Content marketers like to think that the job they do goes beyond that level and really gets in touch with the audience. Think about it this way: would you lie to your family to get them to buy something? No? Then why would you go and lie to someone else? It’s easy to lose that sense of caring for the audience when you, the marketer, are just simply out there competing with the other companies. It’s easy to want to grab the attention of your audience fast instead of sending them a nice welcome with your content. When you are developing your marketing strategy, think about how you come across to your audience. Are you just building a revolving door, hoping to catch that one sale? Or are you there to answer questions and guide that potential customer to a sale as well as create a long-time customer? Both ways can work for your business, but creating a revolving door feeling to your copy can leave a bad taste with your visitors and word will get around. If you are stuck on finding ways to make your content more authentic, try and pull from personal experience and place that into your ad copy. While there will always be the debate of how to deal with close competitors, there are ways to work together as advertisers and marketers. Sure, advertising looks different than it did in the twentieth century, we can still look to its wisdom for content creating today and collaborate to create better content all around. You can get to your audience quickly without shying away from quality content. Being authentic with your audience will always get you more leads and clicks in the long run. You want those clicks to be real interactions and not just a person passing through your revolving door. Your data needs to reflect who your audience actually is. Allow for the content marketers to work through and come up with what works best and learn to better understand and appreciate the traditions in advertising that still work today.